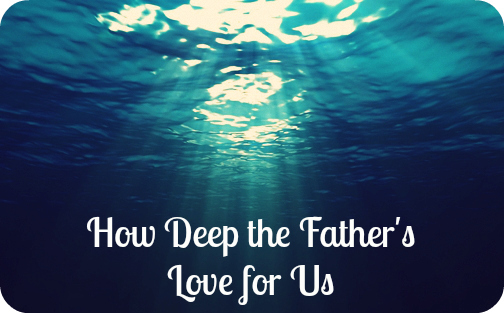 To experience the fullness of God one must experience the all-encompassing Love of God. Love is fullness. I love His love. It breaks shame. It breaks hopelessness. I utterly destroys fear. It fills the heights of Glory to the depths of the grave. It shatters hate. It extends to lengths of life and breadth of our experiences. It is true that he who has been forgiven much loves much… I’m going to get a little transparent here. I’ve experienced a lot of brokenness brought on by my own actions and the actions of others…and I have wounded others. I hate when I wound others. I hate it. I hate when my issues transfer to others. Sometime I wish my weapons were carnal because I feel like I would have a better chance at winning(I’m a big dude). I try to beat my body into subjection (1 Corinthians 9:27) but fail. Dirty rags becoming even dirtier. Filthy rags. I can’t wipe a dirty mirror with a dirty rag can I? I feel broken waiting for mending…like a piece of cloth in a basket for God to get around to mending me. My soul hurts when exposed and faced with itself. I love in light yet hurt in darkness (Eze. 8:12). Hurt people hurt people. I recently just completed my Elijah House 202 Prayer Ministry training. I’m very happy to have been able to go through that training…because I need it. I need inner healing and deliverance. Sometimes daily. I hate looking in the mirror and seeing who I am in Christ yet walking away and forgetting who I am. It’s like walking around Two-Faced(Batman reference) and I don’t have control over the coin flip. I just thought of that coin and what it looks like. It’s two-sided and the good side is clean and the other side…marred, wounded, damaged. Father, Jesus, Holy Spirit I come to You. I…come…to You and find You already there. I come to my senses while Your gaze saw me senseless. I saw my dirt and you saw Your light. I saw myself and You saw Yourself in me. You ran while I walked. You were slain before I ever fell. I only have the ability to love based on Your love for me. I love You with all that I can give and I plan on giving more and more until I come to the full experience and expression of Your love. Give me clean clothes and a clean mirror so I can see You. I admit full responsibility for my actions. Help me to walk like who I really am. Help me to fully express myself to you so I can be fully known and fully loved. ← Past anointings and mantles? GOD is all what we need. Jesus Christ is GOD’S love for humanity, and outside Jesus Christ there is no true love. Very honest post, brother. Great prayer. Amen! And I love the Graham Cooke quote. He does love us in our mess. And God is faithful to bring us from where we are in our experience to who we already are in Him. The “dirty rags” are not who we are anymore but residual unrenewed thoughts and triggers, and we’re all in the process of dumping those old rags! But even so, God uses our current failings to point us to our next upgrade in Him. Blessings. Thank you for sharing! I also love the Batman reference. Thank you for sharing. I am considering showing this to a non Christian friend.